To Grain Or Not To Grain…...Is that the Question? In this two-part series, you will understand the pros and cons of feeding grains to your pet. You will have a better understanding of how the BARF® Diet is beneficial to your pet’s long-term health. With my personal commitment to your pet’s health and passion for raw nutrition, it has led me to believe that at least some raw is better than no raw at all. In recent years it seems like there is always a “buzz word” in the pet health industry. For 20 years now we’ve been preaching the need to feed dogs and cats a species appropriate diet, preferably raw or homemade. This generally consists of high quality bones and raw food (BARF®) as well as vegetables and fruits. There has also been much controversy in recent years over whether to vaccinate your pets or not. If your pet has a health condition, should you seek holistic remedies or treat with conventional pharmaceutical drugs? The answer to these and many other questions is very personal. At BARF® World we take our responsibility to you and your pets seriously. This means keeping apprised of current trends, research and medical studies on what’s working and what’s not when it comes to the health of our dogs and cats. One of my roles here at BARF World® is to research all factors (nutritional, environmental, etc.) that may be contributing to the health of our pets. I read articles daily covering many health topics such as diabetes, chronic digestion issues, neurologic, and cardiology issues in dogs and cats. As a pet owner myself, I’m passionate about getting vital information out to our clients and followers. We’ve all been told for a while now that dog food needs to be “grain free”, but recently this has been questioned. A suggested link between taurine and grain free diets has been at the core of some interesting studies and research articles published by both The Cummings Veterinary Center at Tufts University and the school of Veterinary Medicine at UC Davis. Dilated cardiomyopathy (DCM for short) occurs in cats with a nutritional deficiency. It is being suggested that a recent increase of DCM in dog breeds not typically associated with the condition might be linked to boutique or grain-free diets. The study indicates that some of the dogs improved when their diets were changed. If you are a raw or BARF® feeding pet guardian, should you be alarmed that the diet is grain free? In next week’s post, we will look further into this study and research. "There is a lot of mis-information and false guidance on the internet regarding homemade dog diets. In fact, the biggest complaints about making homemade dog diets come from the veterinary community. And, rightfully so because we see a lot of diets that are made incorrectly. There are some basic rules that need to be followed to assure that the diet is formulated properly. Not every formula will supply the needed nutrient base for proper growth. Most of the problems we see in the growth phase of young puppies. This is a very critical time for proper development of the dog. 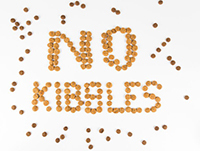 The carbohydrate loads in kibble allow the growth to happen too fast and trying to make a raw meat based diet will reduce the carbohydrate loading and slow down the growth to allow the muscle and bones to develop properly."